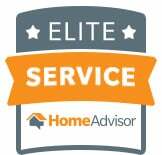 We have worked with HomeAdvisor in the past. Please check out their sites for more reviews. Refreshingly excellent customer service. A rare trait in today's service industry. Dena and team definitely went above and beyond to provide what I asked for. This kind of professional service on the front end leads to excellent customer service on the back end as well. Thank you! Thank you so much for taking the time to write a review but also for the kind words. Professionalism and great customer service is what we strive for. And we love 5 stars! We look forward to working with you in the future should another issue come up. Again, thank you so much! Excellent service by a master plumber. BJ Buchanan will get the job done! And done right! Thank you so much for the review! I agree totally! I am extremely pleased with the expedited and professional service I received from Ms.Dena and Mr.Bj. They were able to inspect and complete my emergency service (pipe burst) sooner than anyone else and at an awesome price. Thank you. 10 star service ( the 5 allowed doesn't even cover it) - Dena and BJ have restored my faith in humanity. Same day service at my Mom's house and took care of her when the company through her home warranty just took advantage. Took care of a broken pipe and fixed it where should can now flush toilets and take a shower, even stayed on hold for an hour with her home warranty company to ensure my Mom got her money back for the service fee for the other company. Your passion for your business shows, are your hearts are made of gold. God Bless you both. That's so sweet Michelle! Thank you so much for the positive review. Yes, BJ was seeing red when he found out that your Mom paid the warranty company $100 for showing up and not doing anything. Shame on that company for taking her money, bless her heart. I'm so glad he was able to get her money back and take care of her problem! Comments: 5+++ stars! What a great price, BJ is a true professional master plumber. Hard working, reliable and honest. I received quality service on time and BJ insured that I fully was satisfied with all the work done. I know who to call for any plumbing service that I might need. I highly recommend Professional Sewer & Drain. Comments: BJ is a really, really nice guy that knows his stuff. Both he and Dena both are very professional. I was real pleased with the work, real pleased with the price and will definitely recommend them! Comments: BJ was awesome! He really knows his stuff. My wife was very happy, happy wife happy life. Again, Thanks! Comments: This company was excellent. Came at 11pm to repair an emergency split water pipe. He explained what had happened and fixed the problem quickly. It’s good to get someone who is honest about their work and won’t beat around the bush trying to solve the problem. I highly recommend this company and I will be using them as my plumber from now on! Comments: Very knowledgeable. Didn’t back down from the challenges associated with the location of old water heater and piping. Went above and beyond to ensure that installation was done correctly and to prevent immediate repairs in the near future by identifying warn valves and piping. Explained every aspect of the process of the installation before and after installation. Called when running late. Fitted me into busy schedule. Overall, very thorough. Reasonably priced. Comments: Excellent same day service. Will call this company for any future plumbing needs. Comments: As others reported in their reviews, they arrived quickly (same day I called). Even though they ran into difficulties because my house is so old, they spent the extra time to get the job done right for a price that was very reasonable compared with prior plumbing experiences that I have had. I will recommend this family owned and operated company to others and will use them again should the need arise. Comments: On time IAW apt. Outstanding work, protection of house and property, Excellent knowledge of CODE requirements, and evaluation of existing installation of heater. They will be called for any future plumbing needs. Comments: Prompt service and good prices. Very friendly and explained everything well. Comments: Arrived on time. Very neat and professional. Explained what needed to be done and what the cost would be. Comments: On time very professional skilled and nice to work with, did a great job. Comments: This company responded to my request very quickly. They set the service up for this morning (11/12/14). The plumber arrived on time and quickly diagnosed the problem. This is the first time I have used this company but will call them again with any problem. Comments: Straight forward professional services, rendered at a reasonable price. Very satisfied! Comments: It’s a family business. I highly recommend this company. Good price, good job, on time, What more could you want. Comments: They arrived quickly. Went above and beyond in explaining and repairing the issue and promised to return if there were additional issues. Provided a recording of the area where they performed the work so that we could clearly see the issue. I’m new to the area and so happy to find someone I can trust. Comments: BJ was always willing and able to fix/repair any issues we had. We sometimes called at the last minute but we were always responded to. Any special projects we always received an estimate first. Comments: I was very happy with the work. I have used them several times. Always happy with the results. A positive experience.